Thanks to recent hard work by a few of the Barrie Club members (Dale & Cheryl Hannah and Jeff Haglund) the trail between Old Second South and Gill Road now has refreshed blazes and some low lying muddy areas have been dealt with. With the cold weather and snow upon us this will be a great snow shoeing venue. Our original plan today was to drive to the Bruce Trail at Mono Cliffs Provincial Park but weather and road conditions made us decide to hike closer to home. 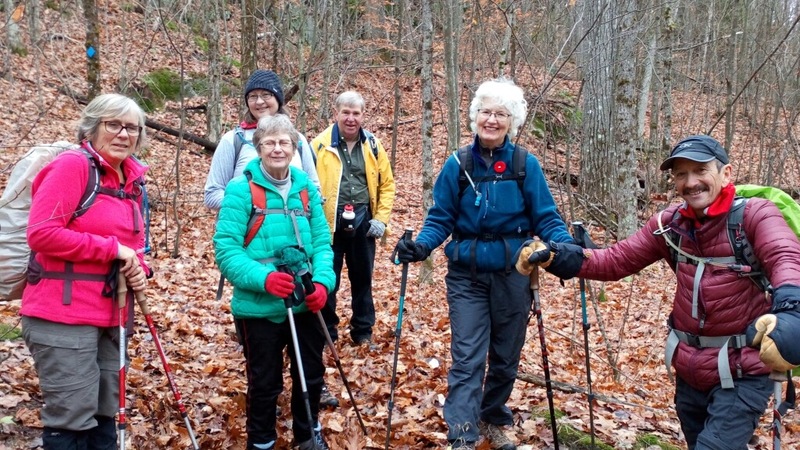 The Ganaraska Trail between Gill Road and Old Second North provided us with a great hike through both hardwood and pine forest with lots of ups and downs to give us a good workout. As you can see in the picture, hiking right after a snow fall provides an extra special experience. 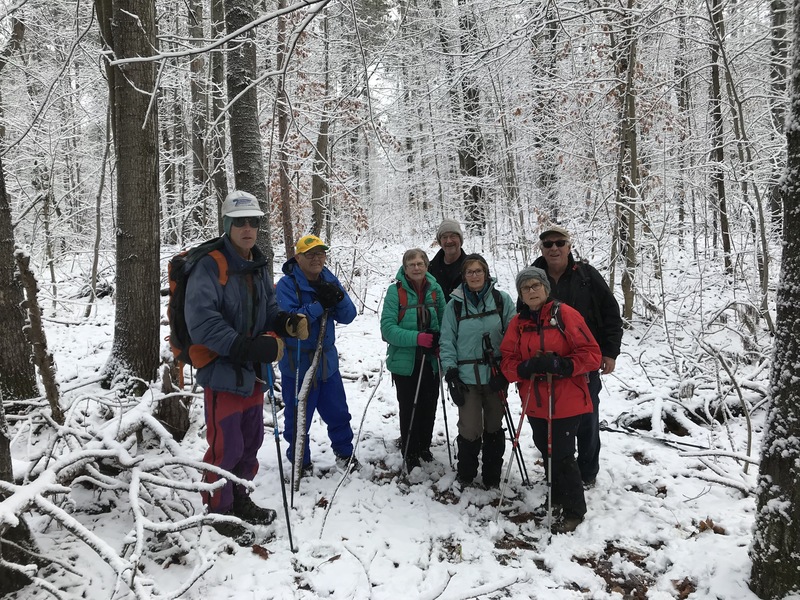 On November 4, 2017 members of the Barrie and Orillia hiking clubs enjoyed a 13km hike in Haliburton Highlands. The Crests of Kennisis and Circuit of Five Viewpoints trails provide a moderate to challenging hike rewarded by great cliff top views of the surrounding forest and lakes. The trail head for Crests of Kennisis is at the Big Hawk Lake historic log chute where there are displays providing interesting information and pictures about history of logging in the area. This hike has become an annual favorite for the group, usually scheduled toward the end of the fall hiking season.